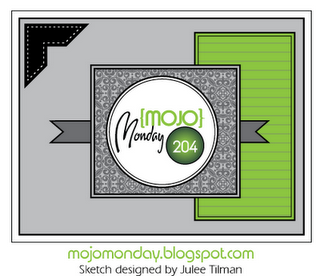 I needed to make one more graduation card, and I turned to this week's Mojo Monday sketch for my layout. 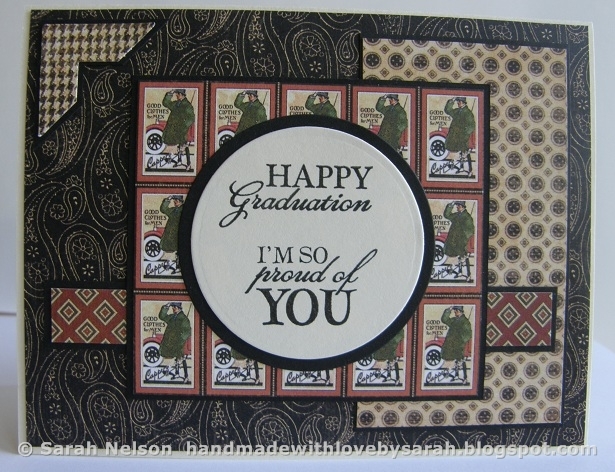 The photo was taken at a bit of an odd angle, lighting wasn't the best at the time, but I think you get the general idea of the card. 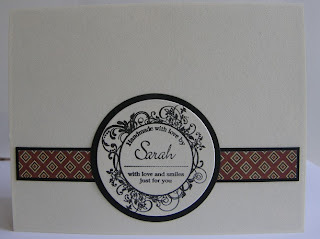 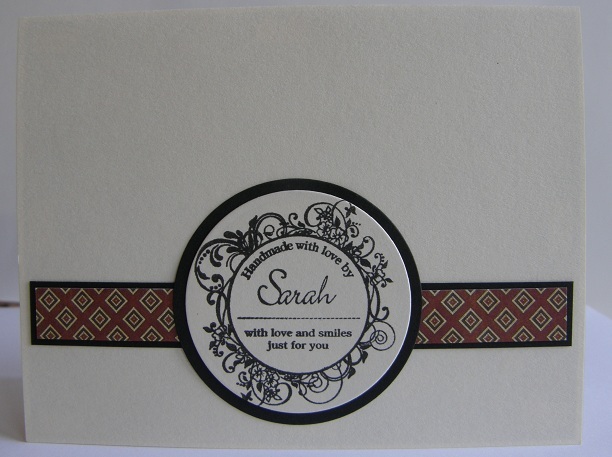 Then on the back, I used a teeny little scrap along with my personalized stamp. 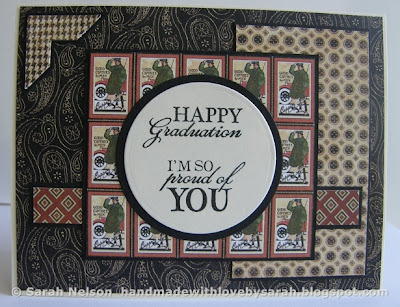 Stamps: Verve "Dare to be You"
Love what you have done with the sketch, so cool and what a pretty fancy back to your card too!